Like all things in life, it is less expensive to prevent a problem from happening than fixing the problem once it occurs. Do you really want to be in the dead of summer and have your air conditioner break down, when the cause could have been prevented with a simple system check? 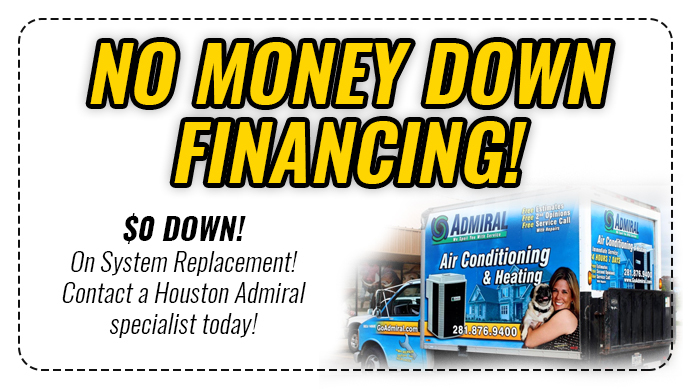 With Houston Admiral’s service contracts, your Spring, TX air conditioning repair service is covered – 24/7! 1. 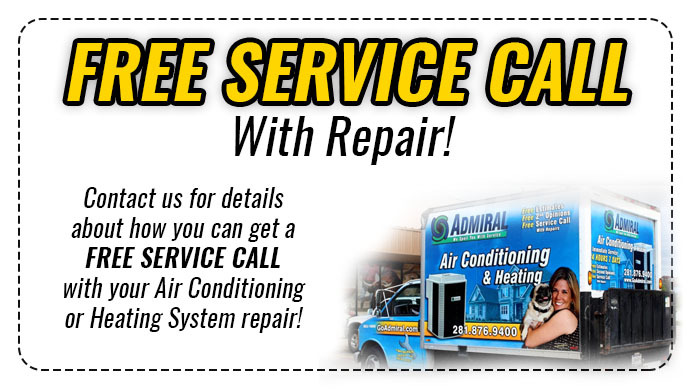 Over 80% of all air conditioner repairs could have been Prevented with routine air conditioning repair service and maintenance. 2. Air conditioners degrade anywhere from 1% to 3% per year. 3. When your air conditioner starts to degrade, your Spring, TX HVAC system will work harder to produce the same result. This means that your electric bills will be higher than normal. 4. Studies from utility companies indicate that Preventative Maintenance more than pays for itself in energy savings. Spring, Houston, Katy, Cypress, Kingwood, Conroe & Sugar Land Priority service. Discounts on repairs, services and new equipment purchases. Please give us a call for more information 281-876-9400!